With thoughts of Christmas being just around the corner and finding the “perfect” gift for your someone special… have you ever considered a custom made piece of jewelry? November is the perfect time to begin a custom project! Bring your ideas and your imagination and will bring them to life with our CAD (Computer Assisted Design) Program and our professional custom manufacturing process. Our jeweler, Dennis, can work with your stones or we can provide exquisite Diamonds or Colored Gems to showcase in your design. 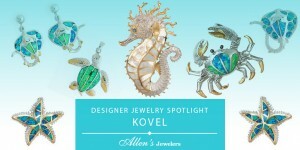 We offer a variety of Custom Jewelry Options including. And if you’re interested in having your jewelry gift idea customized to match your vision will build a treasure for you to present on Christmas morning. “Allen’s helped me craft a wonderful silver bracelet for my wife with a special stones to represents me, my wife and our new baby boy. 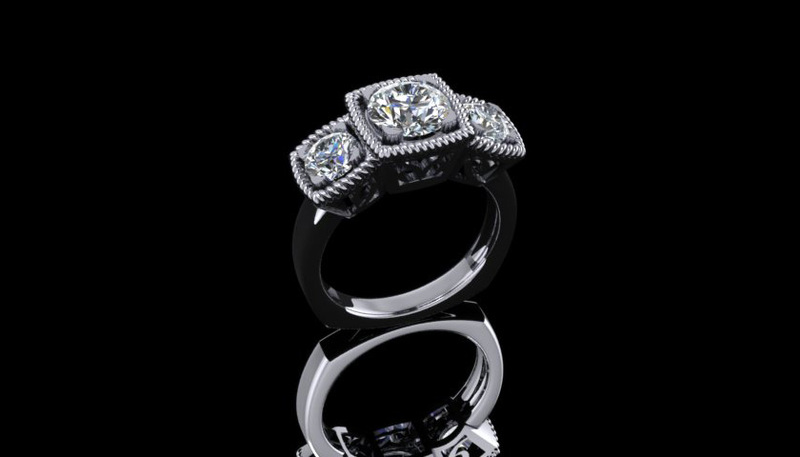 My wife cherished the gift which made it priceless.” – Kenny H.
Check out the images in this post… they show the process of creating a stunning Platinum ring featuring two beautiful diamonds provided by our customer and one additional stone which we sourced to match and complete the design. 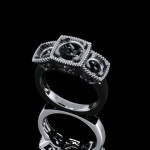 Here you see images of the computer generated 3D rendering, the ring before any stones are set and finally the finished product. WOW, it is really beautiful and looks great on our customer’s hand. Getting married? 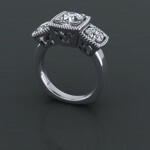 Custom wedding ring design is fun and affordable! Just think… this could be you! So don’t wait come to store soon and begin the design process, it’s easier than you think. The smiles and excitement on Christmas Day will be memorable and the beautiful piece of custom made jewelry will become a family heirloom. “I cannot say enough! 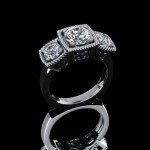 Allen’s helped me to custom design a perfect ring. I chose them out of 6 local Jewelers because of the customer service.” – Carol C.
If you’re looking for a great gift this holiday and want it to be special, come by off Atlantic Boulevard and share your idea with us and we’ll help you bring your idea to life. Allen’s Wants to Know What is one of your favorite pieces of custom jewelry that you had received?